Chevron stripes of cute Halloween fabrics get textural interest from chenille strip embellishment in this lap size Halloween quilt. Trick & Treat is super easy to piece, and adding the premade Chenille-It™ Blooming Bias is as easy as sewing a straight seam! 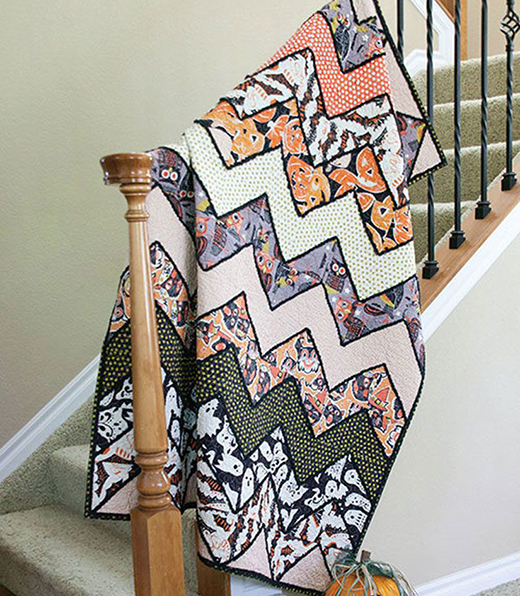 This Chenille-Embellished Lap Quilt designed and Machine Quilted by NANNETTE HOLMBERG, The Pattern is available for free.